Chicken dishes have a tendency to run a little boring. I rarely order a chicken dish in a restaurant because when presented with steak or fish, chicken often falls by the wayside. It just doesn’t seem worth it when I can create a perfectly flavorful chicken dish at home, for a lot cheaper. 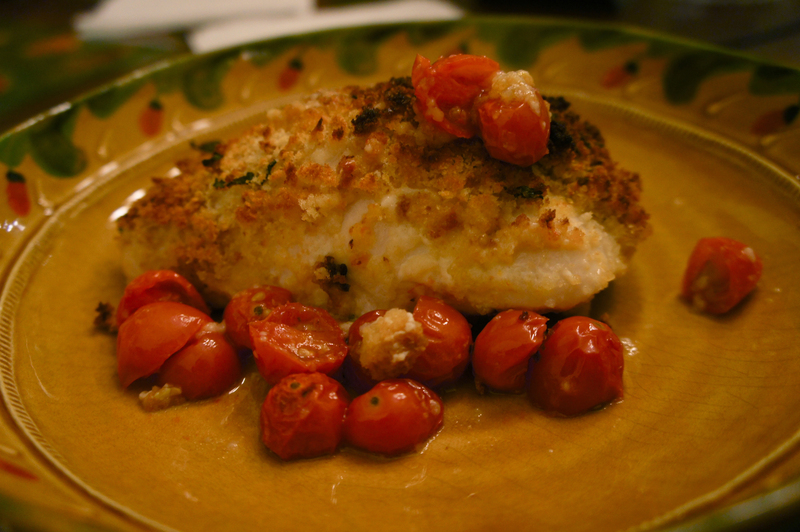 I love this chicken dish because it has roasted tomatoes (cooked right alongside), a delicious cheesy, basil filling AND a crunchy garlic topping. 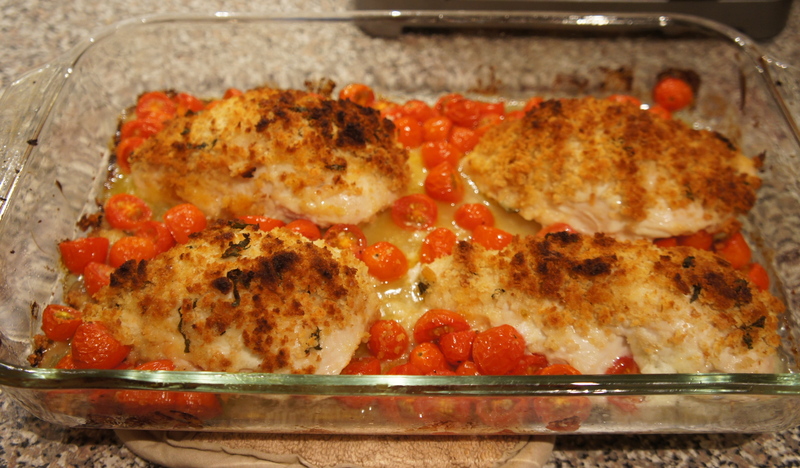 The chicken and tomatoes also look good, which is always a plus when serving food. Adjust oven rack to middle position and heat to 425 degrees. 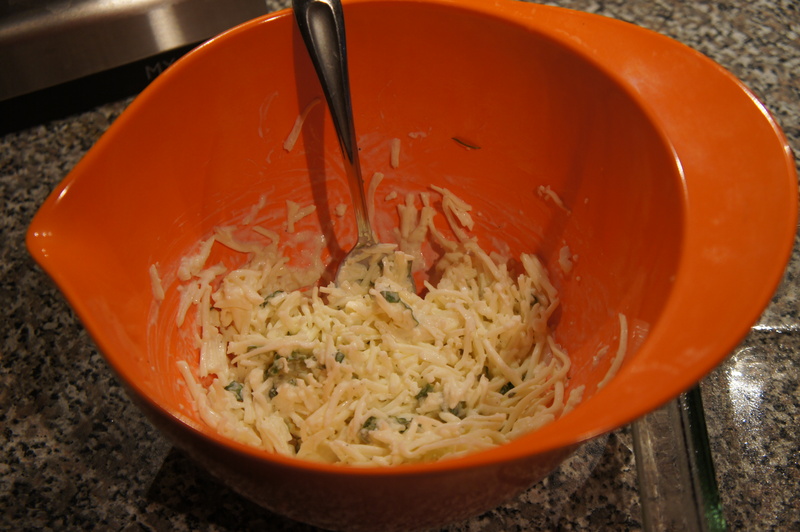 Combine cheese, 2 tablespoons basil, cream, lemon juice, 1 garlic clove, 1/2 teaspoon salt, and pepper in a medium bowl. 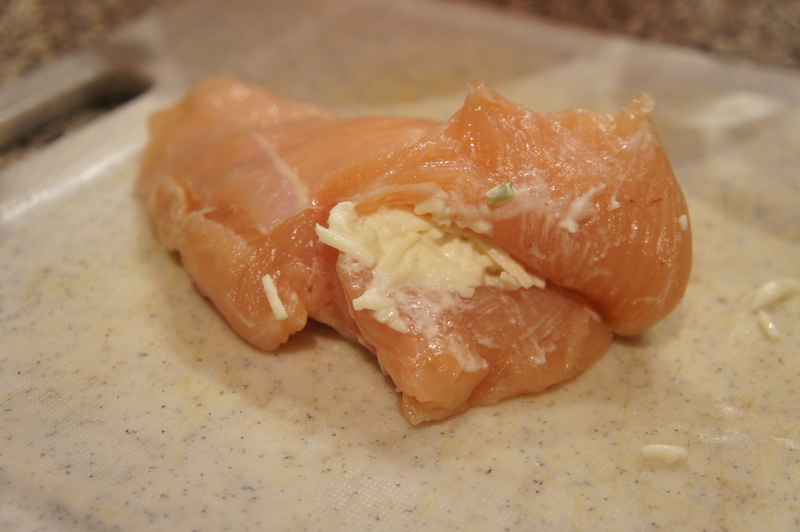 Cut pocket in chicken breasts, stuff with cheese mixture, and seal with a toothpick. 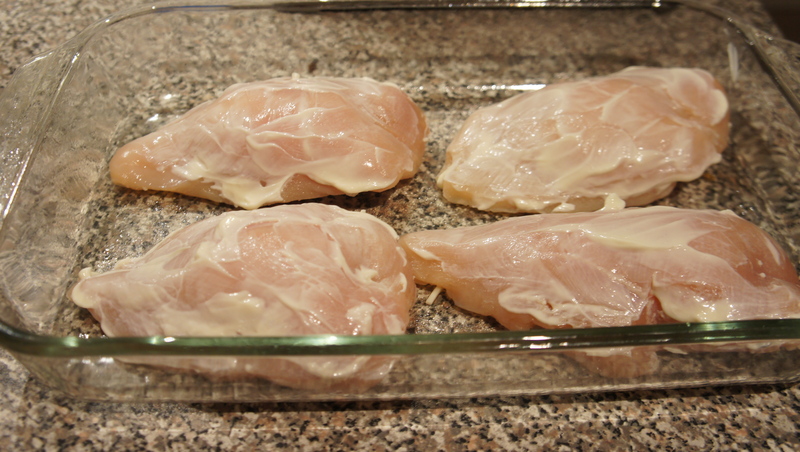 Transfer stuffed chicken breasts to 13 by 9-inch baking dish and spread tops evenly with mayonnaise. 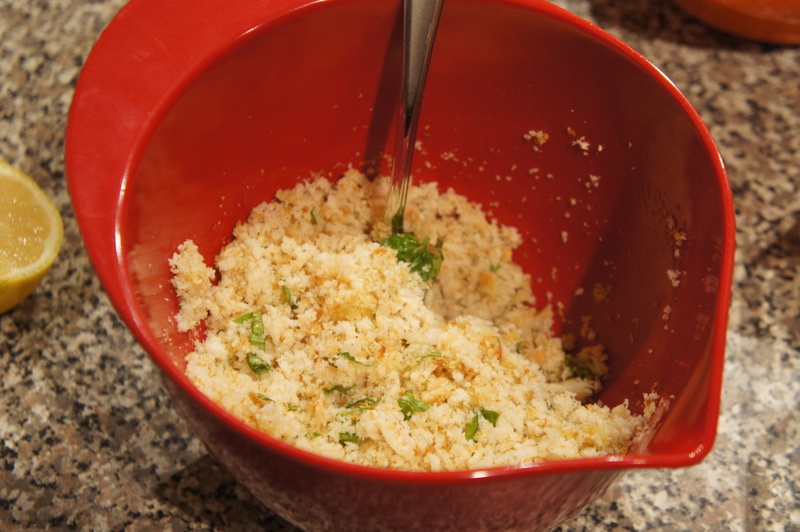 Combine bread crumbs, remaining clove of garlic, remaining basil, and 1 tablespoon oil. Sprinkle crumb mixture over chicken, pressing lightly to adhere. 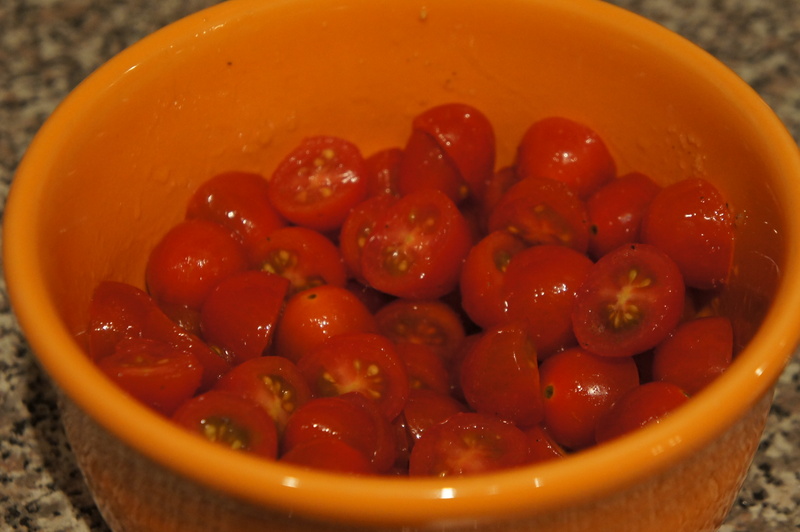 Toss tomatoes with remaining oil, 1/2 teaspoon salt, and pepper to taste. Arrange in baking dish around chicken. 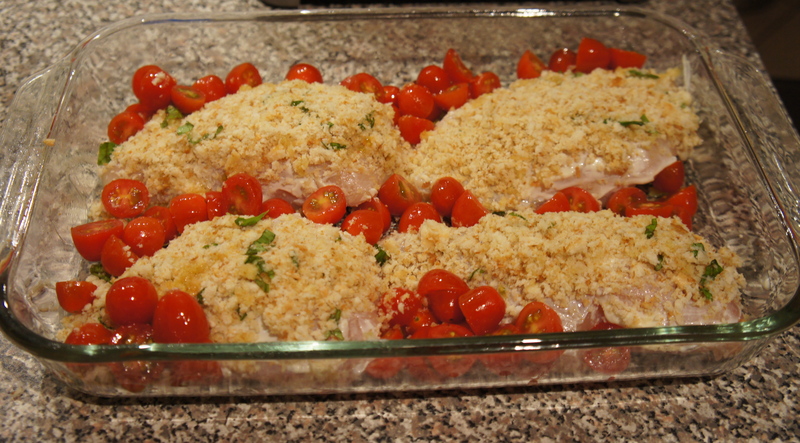 Bake until crumbs are golden brown and thickest part of chicken registers 160 degrees thermometer, about 25-30 minutes. Serve.